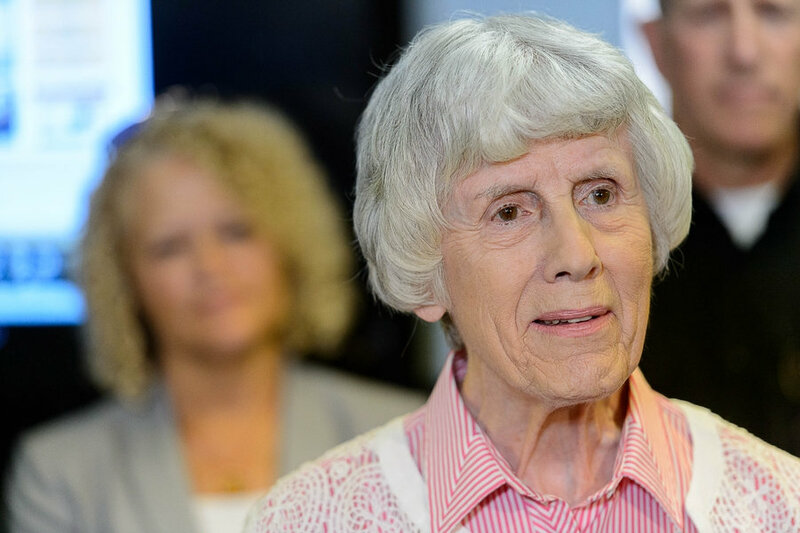 Longtime homeless advocate Pamela Atkinson says, “Operation Rio Grande is saving lives.” We couldn’t agree more. Operation Rio Grande has been in place for six weeks. Phase One, which focused primarily on law enforcement, has been extremely successful in arresting dangerous criminals and disrupting the drug trafficking and usage in the area. The Department of Public Safety and local law enforcement anticipated the issue of encampments spreading to other areas and respond to every report that comes in of new encampments. Phase Two, assessment and treatment, began a few weeks after Phase One as new treatment beds came available. Additionally, a new specialty court began for individuals arrested from the operation to help divert individuals to treatment. Phase Two is essential to the success of the operation and will continue as more treatment beds come available. Building of the final phase, Dignity of Work. This update is scheduled to occur weekly until all the three phases are fully operational and all the pieces are in place. At that point, the update will become monthly until there is no longer the need. 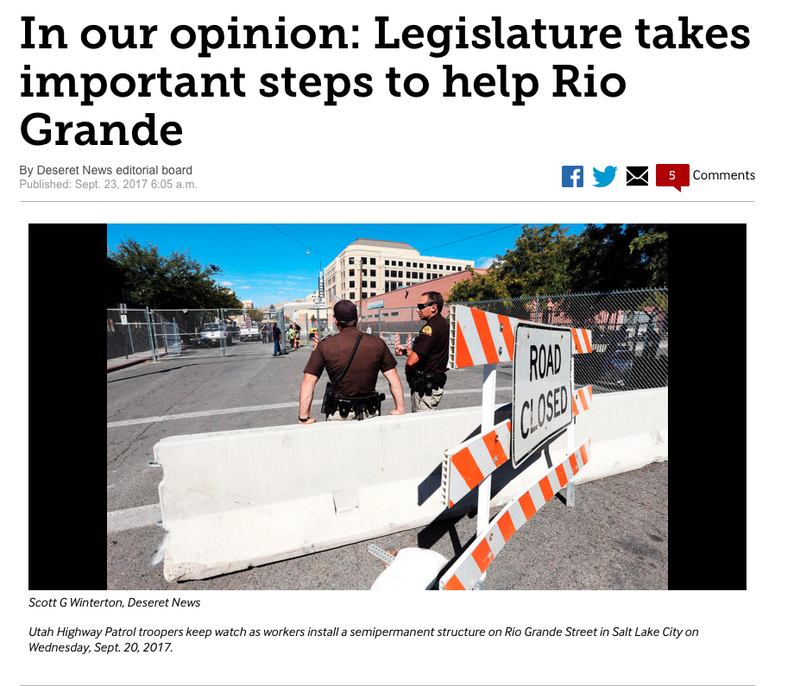 Two bills related to Operation Rio Grande passed overwhelmingly by the Utah State Legislature during the special session on Wednesday, Sept. 20, 2017. Of the 37 treatment beds that became available on Sept. 7, all are now filled with individuals that were arrested as a result of Operation Rio Grande. On Sept. 14, a new specialty court was announced to support the efforts of Operation Rio Grande. So far, there are 35 active drug court participants. In October, another big assessment day is planned to connect additional eligible and appropriate individuals to this evidence-based structured court program. Program participants will be linked to 25 new residential treatment beds opening at Odyssey House. On Wednesday, Sept. 27, the Other Side Academy will be in the Salt Lake County Jail to educate ORG inmates about their vocational program. The Other Side Academy is a two-year vocational, pro-social, life skills program where eligible students gain experience in a trade. It is not a substance use or mental health treatment program. The Department of Public Safety continues to coordinate responses to encampment reports. Each report is taken seriously with a response team and cleanups are scheduled as needed. The public are encouraged to call their local police department regarding any concerns of homeless encampments. Salt Lake City and Salt Lake County meet on a weekly basis to coordinate cleanups for the week. Last week, a large cleanup was conducted along the Jordan River (from 4000 to 4500 South). Cleanup of encampments will continue this Thursday and Friday, Sept. 28-29. Cleanups will continue to occur in other parts of Salt Lake City this week as well. The plan for phase of three of the operation is coming together and will be shared the last week of October.